Samiya Ahmad, MD is an Assistant Professor of Pediatrics at Baylor College of Medicine and the Children’s Hospital of San Antonio in San Antonio, TX. She received her medical degree from Dow Medical College in Karachi, Pakistan. She began her pediatric residency at Saint Louis University in Saint Louis, MO. Dr. Ahmad went on to complete her pediatric, child neurology, and sleep medicine training at Baylor College of Medicine in Houston, TX. After completion of her sleep medicine fellowship, she worked at the University of Texas Health Science Center at San Antonio as an Assistant Professor of Pediatrics and Neurology. Her areas of expertise include sleep disorders, particularly those in children with neurodevelopmental disabilities. She is a Diplomate of the American Board of Psychiatry and Neurology with Special Qualification in Pediatric Neurology. She is married to neonatologist Kaashif Ahmad and is the proud mother of two wonderful children. Yu-tze Ng, MBBS, FRACP is the section chief for pediatric neurology for the Children’s Hospital of San Antonio, Professor of Pediatrics at Baylor College of Medicine (BCM) serves as the Chair Holder for the Gary Dudley and Charlie Amato Chair in Pediatric Neurology. Dr. Ng earned his medical degree from Monash University, Melbourne, Australia. His professional training continued as he completed fellowships in epilepsy and pediatric neurology at the University of Texas-Houston Medical School. Dr. Ng completed his residency at Royal Alexandra Hospital for Children, Sydney, Australia and an internship and residency at Alfred Hospital and the Royal Children’s Hospital, Melbourne, Australia. He is a Fellow of the Royal Australasian College of Physicians (Paediatricians). He is board certified in Neurology with Special Qualification in Child Neurology. He has additional board certifications in Clinical Neurophysiology and Epilepsy. Prior to joining the Children’s Hospital of San Antonio and Baylor College of Medicine, Dr. Ng served as the Director of Epilepsy and Chief of Child Neurology with the University of Oklahoma Health Sciences Center and held the Presbyterian Health Foundation Chair of Child Neurology. Dr. Ng is nationally and internationally recognized through his academic teaching, published writing, clinical study investigations, honors and awards. He has published more than 100 peer-reviewed scientific journal articles, commentaries and book chapters. His areas of expertise predominantly involve various treatments of epilepsy with the latest drug and surgical therapies. His foremost areas of world-reknowned expertise include: Lennox-Gastaut syndrome, (neurosurgery for) status epilepticus, antiepileptic drugs and hypothalamic hamartomas. Holding membership to several national committees, Dr. Ng was a former President of the Southern Pediatric Neurology Society serves on the Scientific Review Committee for the Child Neurology Society and is on the Epilepsy Section of the American Academy of Neurology. 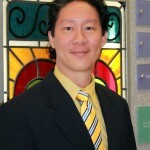 Dr. Ng is an associate editor for the clinical and research journal, Pediatric Neurology. Dr. Ng is married to Karen Aylward, who grew up in Kansas City and they have a one-year-old daughter, Gem as well as two mostly well-behaved house cats! A seizure is a brief abnormal and uncontrollable electrical discharge from the brain. It can lead to a clinical phenomenon of shaking or stiffening, thought disturbance, or a mixture of both. If seizures recur, this condition is called epilepsy. When seizures come from the same part of the brain every time, they are called “focal onset” or “partial” seizures. If the seizures start from several different areas of the brain, they are called “multifocal onset” seizures. If consciousness (awareness) is maintained during the seizure, this is termed simple partial seizure. If consciousness is lost, then it is called a complex partial seizure. Epilepsy refers to the condition of more than one seizure. If the seizures are partial onset seizures, the related epilepsy is known as a localization-related epilepsy. What is a seizure and how is it different from the healthy state? During a seizure, a child may not answer if they are spoken to or they may stare, blink, or shake. Afterwards, they will likely be tired. Seizures can be as short as a few seconds or last several minutes. Sometimes, when a child is sick, seizures can be difficult to control and can last for over an hour or even several hours. This is called “status epilepticus”. Seizures can also occur repeatedly or in “clusters”. This is also known as a “seizure flurry”. How severe can seizures and epilepsy be? Most children (about 7 out of 10 ) will be able to control their seizures with just one medicine, which is called an antiepileptic drug (AED). When a person still has seizures despite taking two or more AEDs, this is called refractory epilepsy. About 30% of children with seizures will have refractory epilepsy. What did he/she do during the seizure? Was the child tired afterwards? Did he/she bite their tongue? Did they wet their pants? Brain imaging, such as a head CT or a brain MRI, and/or an EEG may be ordered. Prior to a seizure, a child may have vague complaints, such as an odd smell or a funny feeling in their stomach. This is called an aura. Certain types of auras can tell where the seizure is coming from in the brain. During a seizure, a person may bite their tongue or wet themselves. Afterwards, they are tired and drowsy and may even fall into a deep sleep. Figure 1: Drawing of the brain showing the four lobes; viewed from the left side. The largest lobe is the frontal lobe, which as the name suggests, is towards the front of the brain or anterior (Figure 1). The frontal lobe is important for executive function, organization skills, inhibition, and attention and other functions. The parietal lobe is located toward the top and back of the head. It is involved in visual-spatial orientation, reading, writing, calculation, and performance of learned actions and behaviors. 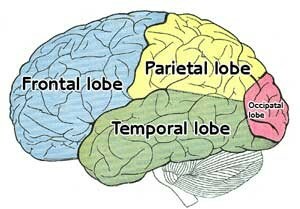 The temporal lobes are located near the temples or lower and middle part of the brain. The temporal lobe is involved in memory, language comprehension, and emotions. The posterior parts of the brain are called the occipital lobes. The occipital lobe is where the brain sees or processes the images from our eyes. The most common area from where a seizure arises in children is the temporal lobe, followed by the frontal lobe as the next most likely area of the brain. Occipital and parietal lobe origin seizures are less common. Mesial temporal lobe epilepsy: In this epilepsy syndrome, the seizures arise deep from inside the temporal lobe. The neurons, or brain cells, in this region have undergone injury and scarring. This damage may be a result of traumatic brain injury, lack of oxygen, infection, brain tumor, or uncontrolled seizures. Epilepsy due to mesial temporal sclerosis is often successfully cured by surgery. Medial and lateral temporal lobe epilepsy: Medial means towards the middle, thus, the medial part of the temporal lobe is the area which is closer to the middle. The lateral part of the temporal lobe is the part that is towards the outer edge of the temporal lobe. The medial subtype is more common. Seizures that arise from the medial temporal lobe can give an initial sensation of discomfort in the belly and also include uneasiness in the chest. This feeling rises and can involve sensations of fear, dream-like state, delayed loss of contact, and oral and mouth automatisms, which are semi-automatic movements such as lip smacking and chewing. Medial temporal lobe seizures occur in younger children and are of a longer duration, greater than one minute. Medial temporal lobe epilepsy is more common in children with a history of febrile seizures (seizures related to fever). The lateral subtype of temporal lobe seizures begin initially with a sensory illusion or hallucination, which is often auditory in nature (i.e., the patient hears something). It can also include a loss of contact and the seizures may then generalize to involve the rest of the body. In contrast to the medial subtype, these occur in older children, are shorter in length, and frequently involve generalized tonic-clonic (shaking) seizures. Medial-lateral temporal lobe seizures share the same initial symptoms of medial temporal seizures, but are of longer duration. In contrast to medial seizures, this subtype is characterized by early vocal, verbal, and oroalimentary (involving the mouth and gastro-intestinal system) automatisms. All three subtypes can have posturing and stiffening of limbs, head deviation, “zoning out”, and dysphasia (difficulty speaking). The frontal lobe is largest and is the anterior part of the brain. Seizures that come from this part of the brain are dramatic and sudden in onset, predominantly occurring at night during sleep. They tend to be of short duration and involve a great deal of physical movement. Frontal lobe seizures have little postictal (after a seizure) confusion. The EEG during these seizures often does not show epileptiform discharges (abnormal brain activity consisting of sharp and spike waves seizure) activity. This is because the EEG electrodes cannot access large areas of the frontal lobes. Also, the high degree of violent movements accompanying these seizures causes artifact on the EEG. Supplementary sensorymotor area epilepsy- Seizures from this area tend to occur in clusters with repeated seizures during the night, usually during sleep. Among different patients with these types of seizures, the semiology can vary. However, a given child will usually have stereotypical or similar movements each time the seizure occurs. The events have an explosive start and abrupt finish, lasting for a short duration, usually under half a minute. They often occur following a vague aura and then proceed to involve random postures and movements which tend to be bilateral and asymmetric. One sided postures or movements may also occur, but are less common. Speech arrest and vocalizations may also occur and consciousness is usually preserved. A postictal state is not common. The fencing posture features elevation of the contralateral arm, outward rotation, and flexion at the elbow. The ipsilateral, or same side, arm is extended and the head is turned toward the contralateral arm. This posture is classically associated with supplementary sensorimotor area epilepsy. However, most patients do not demonstrate this finding. The EEG does not show clear epileptiform discharges and, when correlated with the clinical setting of odd movements, can lead to the wrong diagnosis that these events are not seizures. Orbitofrontal epilepsy– Seizures from this area consist of staring, head and eye deviation, loss of awareness, and hand and face automatisms. These automatisms can consist of “goose bumps”, a stomach-rising sensation, sweating, smell, wetting oneself, laughing, screaming, pelvic thrusting, or sensations of hunger, thirst, or fearfulness. This array of feelings and behaviors are due to the orbitofrontal brain region having numerous connections with the limbic system in the brain. The limbic system is involved in memory and emotions. Dorsolateral frontal lobe epilepsy- Seizures from this part of the frontal lobe often consist of inability to speak (aphasia), automatisms (ritualistic behavior), tonic (stiffening) and clonic (rhythmic jerking) movements of arms and legs, and deviation of head and/or eyes. The child is usually conscious during these seizures. An aura or sensation of fear or feelings of abdominal uneasiness or visual changes may occur. This is in contrast to seizures that come from the medial parts of the temporal lobes, which often lack auras and posturing movements. Cingulate gyrus epilepsy- Due to the close proximity of this region to the temporal lobe, seizures arising from here are similar to those originating from the mesial temporal lobe. Seizures from the cingulate gyrus can involve screaming, aggressive behavior, and feelings of intense fear. The heart and breathing rate may rise, and sweating and pallor can also occur. Uncontrolled, subtle movements of the face and hands, “zoning out”, and rhythmic facial and limb movements are often seen. Opercular area epilepsy- This is an uncommon area from where seizures may originate. Voice changes, swallowing, chewing, drooling, speech arrest, and variations in heart rate, breathing, and blood pressure are associated symptoms. Fear and abdominal and taste sensations may occur but consciousness remains until the onset of clonic activity. After the seizure is over, the child may have difficulty speaking if the seizure originates from the dominant hemisphere (the side of the brain in which the function of speech is housed). Motor area epilepsy- As would be expected, seizures from this area involve movement such as tonic and clonic motor activity. They will often begin as simple partial seizures (consciousness preserved) and then spread to become generalized. For example, the seizure may start in the fingers and make its way up to the arm, with the child still being fully alert. From the arm, seizure activity could then progress to involve the face and rest of the body. This is called a “Jacksonian march”. Seizures from the motor area of the brain are often followed by weakness of the involved parts of the body. This is called postictal (after a seizure) hemiparesis or hemiplegia. It can also be called a Todd paralysis. Seizures from this area may present with falls, autonomic symptoms, eye or head deviation, rhythmic limb movements, and loss of contact with the environment. Seizures from the occipital lobe are far less common than those originating from the temporal or frontal lobe. As would be expected, occipital lobe seizures can include visual disturbances. Depending on which specific part of the occipital lobe is involved, the disturbances can range from a variety of hallucinations to illusions. A visual hallucination is a perception when there is a lack of stimulus. A visual illusion is a misrepresentation of sensory perception. These phenomena can occur as symptoms of an occipital seizure. They have also been known to happen in association with headaches, particularly migraines. One of the simplest visual disturbances are elementary visual hallucinations, which can take the form of visons of white or colored shapes that twinkle, rotate, move, or remain still. More detailed visual phenomenon, called complex visual hallucinations, can also occur, either independently or with elementary visual hallucinations. Complex visual hallucinations include images, formed scenes, letters, or numbers that can either move or remain stationary. A rare form of a complex visual hallucination is autoscopia in which a mirror image of a person is perceived. Ictal amaurosis refers to blurring of vision or loss of sight due to a seizure. Physically during an occipital seizure a child may complain of a moving or pulling feeling in the eyes. This occurs without observable complaints of such. Rapid eye jerking can be witnessed though, as can persistent deviation of the eyes to one side. Seizures arising from the parietal lobe are less common than all other types of seizures. They tend to present as sensory changes or inability to orient oneself in space or time. At times, a person is physically unable to perform a task that they know how to do, despite having the will and physical ability to execute it. This is called apraxia. An example of apraxia is a teenager unable to comb their hair with a brush. Other symptoms include funny feelings in the skin, known as paresthesias, or absence of sensation, called numbness. Dizziness or a sensation of movement can also occur, as can rapid to and fro movements of the eyes, known as nystagmus. These epileptic conditions presume that a genetic or inherited abnormality is the cause for the seizures. Most of these syndromes will resolve by puberty. These conditions are common and comprise at least half of partial-onset seizures for children under the age of 16 years. Children with these disorders tend to have normal neurologic development and their seizures can be controlled with medication. This epilepsy syndrome – benign rolandic epilepsy of childhood – is abbreviated BECTS. It is the most common focal type of benign (harmless) partial seizure disorder and accounts for up to a quarter of all seizures in children under age 15 years. They typically start between the ages of 4 and 10 years and resolve about 4 years after the first seizure. Boys are slightly more often affected than girls. Most patients with BECTS will have seizures only during sleep, often occurring soon after falling asleep or just before awakening. Less commonly, seizures can occur during wakefulness. Sleep-related seizures usually begin with movements involving half of the face, drooling, and gurgling sounds. Night-time seizures are more likely to spread to the rest of the body than daytime seizures. Seizures while awake usually begin with numbness or tingling over part of the face followed by movements on that side of the face. Speech can stop and drooling occurs. Contractions can sometimes spread to one side of the body or even the entire body. When seizure activity spreads from one small area to the progressively larger areas, this is called a “Jacksonian march”. Children with BECTS can have memory challenges, psychiatric problems, and struggles in school. This is thought to be related to where the seizure discharges are ongoing in the brain. If an EEG is performed on these patients it may show epileptiform discharges (abnormal, spike or sharp waves on EEG), often in the central and temporal areas of the brain (Figure 2). Further work up, like a head CT or brain MRI, is not always needed. Figure 2: EEG showing a typical pattern of benign epilepsy with centrotemporal spikes (BECTS) with clear spike-and-slow wave discharges phase reversing (pointing towards each other, suggesting the source of the seizures) at C4 & T4 (right centrotemporal region). Most children with BECTS will become seizure free with or without medication. If seizures are rare, short, and occur only at night, treatment can be withheld. Early-onset benign occipital childhood epilepsy is the second most common benign focal epilepsy of childhood and occurs in children between the ages of 3 to 6 years. Overwhelmingly, the seizures occur during sleep. One of the classic features of this type of seizure is autonomic instability. Autonomic instability refers to sudden changes in heart rate, blood pressure, sweating, or digestion. Children with these types of seizures can present with pallor, visual changes, vomiting, nausea, dilated pupils, or fainting spells. The eyes and head can be deviated towards one direction and consciousness can be impaired. These events last for at least 5 minutes, though at least one-third to one-half of patients may persist with seizure activity for 30 minutes or longer. An EEG performed on these patients will often show occipital spikes. Seizures tend to be infrequent and occur more than once in benign occipital childhood epilepsy. Treatment is therefore not mandatory. Late-onset childhood occipital epilepsy (Gastaut type) usually presents between 4 to 13 years of age and is one-fifth as common as early-onset benign occipital childhood epilepsy. Seizures are frequent and tend to occur during wakefulness. They most often present as short, simple visual hallucinations which last typically between 5 to 20 seconds, but can be as long as 15 to 20 minutes. This is the most frequent manifestation. Less common is a sensation of visual blurring or vision loss. Even less frequently, complex visual hallucinations and illusions can occur, as can forced eye lid closure, blinking, and eye deviation. An EEG in between seizures can also show occipital spikes or sharp waves, often high in amplitude. As seizures occur more frequently in late-onset childhood occipital epilepsy, treatment with AEDs is pursued. Long term prognosis for patients is good, but they can have mild degrees of attention, memory, and verbal problems. Seizures can occur in anybody. They can happen in children who are developmentally normal and appear healthy. If a picture is taken of their brain (MRI or CT scans), it most likely will be normal. Seizures can also occur in those individuals who are not normal, such as children with developmental delays, autism spectrum disorder, or cerebral palsy. Cerebral palsy is a non-progressive disorder of movement due to damage to the brain either before, during, or soon after birth. These children may have difficulty moving their arms and legs and might need a walker or wheelchair. Seizures can also start happening to children who have suffered a head injury, such as a traumatic brain injury due to a motor vehicle accident. Many genetic conditions, such as Angelman and Miller-Dieker syndrome, are strongly associated with epilepsy. These children have characteristic features that go along with the syndrome. What causes seizures and is epilepsy hereditary? 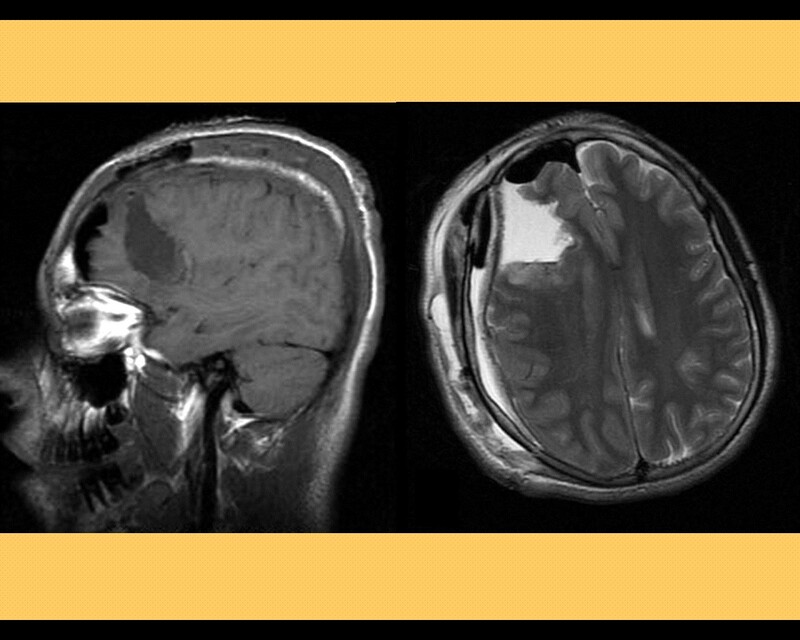 Figure 3A: Two views (sagittal, i.e., from the side and axial, i.e., cross section always viewed from below) of a brain MRI demonstrating an area of right frontal lobe focal cortical dysplasia (abnormal “birthmark” of the brain) which was causing seizures and epilepsy in a 14-year-old boy. 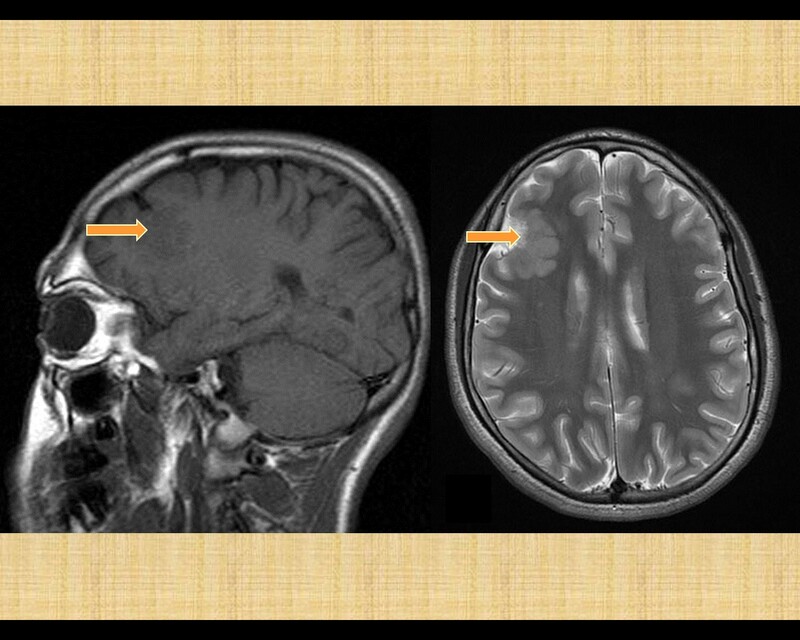 The focal cortical dysplasia, abnormal region of the brain was surgically removed (resected) with the patient becoming cured of his seizures and epilepsy. Sometimes seizures occur for no reason at all. Certain families have a tendency towards epilepsy. No one can cause a seizure to happen and no one is to blame. Can a child with epilepsy have more than one disorder? It is possible for one or more types of disorders to exist with epilepsy, such as autism or cerebral palsy. Some disorders are more likely to have seizures occur with them, such as hydrocephalus (too much fluid in and around the brain), lissencephaly (abnormally smooth shape of the brain), or tuberous sclerosis complex (group of genetic disorders affecting many parts of the body, including the central nervous system and skin). In the absence of a brain lesion, presumed genetically mediated imbalances in brain activity can cause partial epilepsies. This is termed idiopathic partial epilepsy. Most of these syndromes occur during childhood and resolve by adolescence. An exception to this rule is autosomal dominant frontal lobe epilepsy, which can be lifelong. Most children with idiopathic partial epilepsies are normal neurologically. The seizures within each type of epilepsy syndrome are similar in semiology and can usually be controlled readily with anti-epileptic drug therapy. These types of epilepsies are common and represent at least 50% of the partial-onset seizures in children less than 16 years of age. Two main idiopathic partial epilepsy syndromes are benign childhood epilepsy with centrotemporal spikes (BECTS) and benign occipital epilepsy (described above). Children with epilepsy can have difficulty with other aspects of their daily lives. In most states, a person with epilepsy has to be seizure-free for several months before they can drive. Also they have to be careful participating in certain sports, like swimming. Children may have trouble in school because of uncontrolled seizures. After a seizure is over, the brain can be “slow” for many days. Also, the medicines used to treat seizures can cause the child to be sleepy or irritable and can cause problems with focusing and paying attention. As a child with epilepsy grows older, they are at a higher risk of having behavior problems like attention deficit hyperactivity disorder (ADHD) or mood disorders like anxiety or depression. Is neuro-imaging used to diagnose epilepsy? The doctor may order a “picture” of the brain, such as a head computed tomography (CT) or a brain magnetic resonance imaging (MRI). These tests are used to see the structure of the brain. This can sometimes find the cause for the seizure, such as a bleed in the brain, a vessel abnormality (arteriovenous malformation), a tumor, or too much fluid (hydrocephalus). What other tests may be ordered by your doctor and will my insurance cover it? Often, an EEG is ordered. It basically reads the “electricity” pattern in the brain. Wires are attached to the patient’s head and connected to a box which will show squiggly lines on the computer screen. Normally the lines should be smooth and wave-like. A caregiver may hear the doctor say “spike” or “sharp wave”. This is abnormal and can indicate a tendency towards seizures. Most of these tests are covered by insurance companies, though prior authorization may need to be obtained. Do any of these tests need to be repeated? Each EEG is a snapshot in time. At times, EEGs may need to be repeated if they do not capture the information needed or if seizures continue despite adequate treatment. Every time an EEG is performed, it may provide further information to confirm that the event was a seizure and where it may be coming from. Sometimes, longer EEGs with video recording are ordered; these can last for days. One reason for ordering this is to capture a seizure on epilepsy monitoring video-EEG. If there is a change on a patient’s neurologic exam or if seizures are difficult to control, your doctor may repeat a head CT or brain MRI. The doctor will first assess whether or not the event the child had was a seizure. Much of the information is obtained from taking a careful history. If a caregiver or patient is able to act out the event or capture it on video, this will aid in the diagnosis. The doctor might also want to take an image of the brain with either a CT or an MRI. They may also order an EEG which can help decide what type of seizure is occurring and what would be the best medication. Usually physicians tend to wait until a second unprovoked seizure, more than 24 hours later, occurs before they start medicine. They will choose the best suited and safest possible medicine and will treat for two years. If after two years a child still is seizure-free, the doctor may start reducing the medicine and eventually stop them. Does treatment vary based on severity? AEDs can also be costly. Your doctor will choose the medicine that is best suited for the type of epilepsy and take into account other considerations, such as age, weight, and other health conditions. The medicine is gradually increased until the seizures are stopped or the maximum dose is reached, as long as the patient can tolerate the AED. A second AED may need to be added. After a third medicine is added, the chances that the seizures will be cured only by medication declines significantly. Your doctor will then talk with you about a few other treatment options. Epilepsy surgery, vagus nerve stimulator (VNS), and ketogenic diet are some treatment options available if medications have failed. Since epilepsy is a very serious condition, treatment is generally covered by insurance companies, even though it can be very expensive. If a particular area of the brain seems to be repetitively causing the seizures, the doctor may refer the child for epilepsy surgery. This requires extensive workup with detailed brain imaging and EEGs. A neurosurgeon will then surgically remove the area of the brain that is causing the seizures. This is called epilepsy surgery. If a child’s seizures are not adequately treated by medication or surgery, then the doctor will discuss placing a VNS or starting a ketogenic diet. A VNS is a programmable magnetic devise that is placed surgically under the chest wall. The providers will teach caregivers how to swipe the VNS with a wand if a seizure occurs. Hoarseness is a side effect. Multiple diets exist that can help control seizures. The ketogenic diet is a strict meal plan consisting primarily of fats and oils and complete elimination of carbohydrates. The patient is typically hospitalized at the start of the diet and careful monitoring of blood tests is involved. It is not an experimental, but rather a well-proven and effective form of epilepsy treatment. What will happen if the disorder is not treated? If seizures are not treated, they can start happening more often and for longer periods of time. This is harmful for the brain and eventually for the rest of the body. The child does not feel alert or can harm themselves. They can even be at a high risk for sudden death, especially in their sleep. What are the pros and cons of treatment? The ultimate benefit of treating seizures is that they can be cured forever. It can lead to a more productive, happier, and fulfilling life. It should be kept in mind that medicines do have side effects, as does surgery and the ketogenic diet. What is the outcome with treatment? About 60 to 70% of children will stop having seizures after treatment with one AED. Response to therapy depends a great deal on the seizure type and the cause for the epilepsy. Long term, about 50% will remain seizure free without medication. A child with well-controlled seizures can do anything that any other healthy child can do. How will this disorder change my family and my child’s life? What will need to be done on a daily basis? It is an adjustment for any family when their child is diagnosed with epilepsy. The child will need daily medications and regular doctor visits. They will need to be watched closely if they are swimming or climbing heights. The AEDs may make them moody and can cause some academic challenges. With proper understanding and help, children can achieve their potential. Their school teacher should be alerted that if the child happens to be staring off or not responding, they may be having a seizure. As family, you will need to make sure that your child takes their medications, gets the rest and sleep they need, and receives extra help, if needed, for homework. If traveling, remember to take all of your medications with you. A healthy diet and regular exercise are always beneficial. Prolonged seizures can occasionally cause damage to the brain and eventually other parts of the body. Can my child die from epilepsy? If a child has poorly controlled epilepsy, they can occasionally die. This is called SUDEP (sudden unexpected death in epilepsy), often in their sleep, due to their epilepsy. However, outcome is much better with optimal treatment, the goal being seizure freedom after treatment for a certain period of time. Seizures can be prevented by regularly taking the prescribed medications. In fact, not taking medications is the most common cause for breakthrough seizures. During times of illness or stress, seizures can occur. It is best to let a child rest during these times, remain well nourished, and have judicious control of fever. However, it is of utmost importance that a child with epilepsy and his or her family try to limit and minimize that child’s restrictions including school attendance, sporting activities, etc. Children have reported being treated differently. They express that feeling different from other children is often more upsetting than having the disease itself. Are there organizations or support groups that I can contact? What resources are available? Amaurosis: Blurring of vision or loss of sight secondary to a seizure. Antiepileptic drug: Class of medications used to treat seizures. Automatism: Semi-automatic spontaneous verbal or motor behavior performed without consciousness. Autonomic instability: Irregularities of breathing, heart rate, blood pressure, digestion, and sweating, among other features. Autoscopia: Rare form of complex visual hallucination in which a person “sees” a mirror image of themselves. Computed tomography (CT) scan: X-ray image made using computerized axial tomography; involves radiation. Carbohydrate: Organic compound found in food such as sugars, starch, and cellulose. Clonic: Alternating contraction and relaxation of muscle groups. Congenital: To be born with a particular trait. Electroencephalogram (EEG): The recording of the electrical activity of the brain. Epileptiform: Resembling seizures or its manifestations. 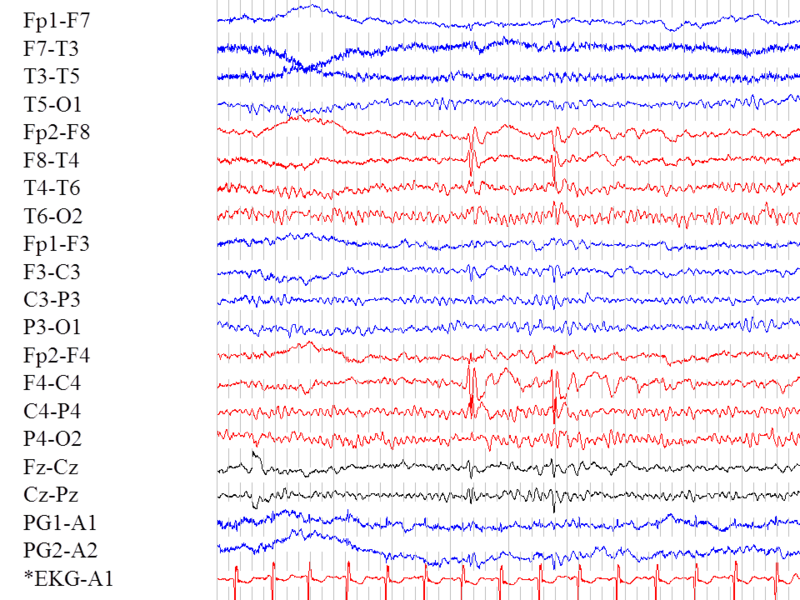 Epileptiform discharge: Abnormal spike or sharp wave on EEG. Frontal lobe: Largest and most forward part of brain. Hydrocephalus: Excessive fluid in and around the brain. Laryngeal: Pertaining to the larynx or voicebox. Lissencephaly: Genetic condition in which the brain lacks normal contours and appears smooth. It is associated with severe developmental delays and epilepsy. Macropsia: Visual disorder in which objects appear large. Micropsia: Visual disorder in which objects appear small. Metamorphopsia: Visual disorder in which object has distortion of size, proportion, color, or velocity. Mesial temporal sclerosis: Hardening and scarring deep inside the temporal lobe. Magnetic resonance imaging (MRI): A technique using magnetic rays and radio waves to make detailed images of parts of the body. Neuron: Specialized cell that make up brain and nerve tissue. Neurosurgeon: Physician who operates on the brain and spinal cord. Oroalimentary: Involving the mouth and gastro-intestinal system. Palinopsia: Visual illusion in which recurrence or persistence of a visual image remains despite removal of the inciting stimulus. Postictal: Following a seizure, often referring to confusion or fatigue that occurs after a seizure. Psychogenic: Originating in the mind; or referring to any physical complaint or disease that is of subconscious or psychological rather than physical origin. Semiology: Study of the signs and symptoms associated with seizures. Seizure: Transient, abnormal electrical discharge from neurons with resultant abnormal behavior or movements. Simple partial seizure: Consciousness preserved during a seizure that involves only a small part of the brain. Stereotypical: Repetitive movements or postures. Syndrome: Association of several clinical features, signs, and symptoms that occur together. Temporal lobe: One of the four parts (lobes) of the brain that is located on the sides, just above the ears, near the temples. Tuberous sclerosis: Genetic disease that causes growth of tumors in the brain and other vital organs. Visual illusion: Distortion of a sensory perception/visual image. Visual hallucination: Perception in the absence of a stimulus; i.e., seeing something that is not there. Fulton S, Perkins F. Partial-Onset Seizures and Localization-Related Epilepsy Syndromes. Epilepsy in Children and Adolescents. Wheless JW, Clarke DF, McGregor AL, Pearl PL, Ng YT editors. John Wiley & Sons 1st edition 2013, 285-309. Jordan JW. Semiology: Witness to a Seizure – What to Note and How to Report. Am. J. END Technolo. ASET, MO. 2007. Volume 47, 264-282. Linklater A, Patsika D, Usiskin S. Epilepsy Counseling. The Treatment of Epilepsy. Shorvon S, Perucca, Engel Jr, J editors. Blackwell Publishing, Ltd 3rd edition 2009, 335-340. Losey T, Ng YT. Partial-Onset Seizures and Localization-Related Epilepsy Syndromes. Advanced Therapy in Epilepsy. 1st edition. Wheless JW, Wilmore LJ, Brumback RA editors. CT: PMHP-USA 2009, 165-178. Van Straten AF, Ng YT. What is the worst thing about having epilepsy? A child and parent perspective. Pediatr Neurol 2012; 431-435. Get the latest patient education information, advocacy events, scholarships, grants, and	opportunities of interest to the child neurology community.